My name is Chad Coslett, owner and master carpet cleaner for Coslett's Cleaning. After 23 years in the cleaning industry and 17 of them cleaning carpets, I have reached at a place in my career where I could put down my carpet wand and sit back and only direct and manage my crew of cleaning technicians. However, I prefer to remain on the front lines: cleaning carpets and helping my customers solve their carpet cleaning dilemmas, one stain at a time. My goal is to help you get the most out of your investment by extending the life your carpet, oriental rugs, upholstery and other fine fabric or flooring surfaces. This is achieved through proper cleaning maintenance, odor removal, and protection from damaging elements. Behind the scenes I am constantly innovating, collaborating, and networking to uncover the cleaning needs of my customers. My ongoing efforts toward education, combined with my years of experience is what enables me to resolve your issues unmet by current products or methods; and overcome even your most challenging of cleaning obstacles. We strive to exceed all of your expectations and deliver an exceptional cleaning experience that will add a real value to your home or organization. I started on my epic carpet cleaning ride some 23 years ago. From my humble beginnings in 1990 as an ultra sonic mini-blind cleaning company, then 6 short years later I emerged as a one man show, carpet dry cleaner. It was from this point on that I quickly realized if I put my best efforts towards educating myself and spent my profits on better equipment, the more my earning potential and company would grow. So, I continued to absorb as much knowledge as possible by attending training courses, seminars, and on the job experience. After a few years of hard work and dedication I was able to earn enough profit to purchase my first truck mounted hot water extraction vehicle. It has been this philosophy that has led us to be the successful (residential and commercial) carpet, upholstery, oriental rugs, tile & grout, hardwood floor, odor removing, deodorizing and sanitizing company that Cosletts Cleaning is today. And throughout it all, I have tried to stay true to my core beliefs: treat my customers how I too would like to be treated and clean your property as if it were my own. Always delivering an exceptional cleaning experience by keeping abreast of my competition with continual education, state of the art equipment, and the most advanced cleaning methods available. I owe a huge thank you to my loyal customers who have joined me on this journey. The numerous referrals and recommendations of my services have been the foundation of my success. Word of mouth advertising was the main force driving my company’s growth for many years. Most friends have also become my customers, and many customers have also become my friends. And each happy customer and praise of a job well done is what keeps me going day in and day out. I enjoy living and working out of Park Hills, KY, the small neighborhood in which I am a lifelong resident. Thankfully I enjoy what I do, because most of my days are spent doing it. But no matter how demanding the job becomes, I always find time to spend with my family: Patty, my beautiful wife of 40 years, Katie, my only child/daughter, and my Mom and 6 siblings. Some of my favorite things in life are fishing in my back yard, playing pickle ball with friends, Monday and Friday night golf leagues and annual golf trips with the guys. And most of all I love my summer Sunday kayaking and fishing day trips with my daughter. I owe my hard work ethic to my father, who recently lost to his battle with Alzheimer disease, and who I admire and miss every day. Beyond that, I enjoy life. I take pride in what I do, and the company that I’ve created. If you have a question or want to know more about me or my company please do not hesitate to call. I am the one who answers the phone. 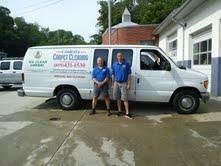 I welcome the opportunity to learn about your cleaning needs and how I can add life to the length of your investment. No job is too big or too small, we welcome them all!